Would you love a higher intelligence rating? Would you like to work your mind to its limits? This book will help you with these aims as well as enhance your reasoning powers and increase your ability to absorb and analyze information. 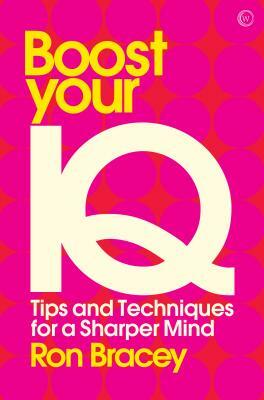 With a range of enjoyable and engaging exercises you’ll soon be boosting your brain to peak e!ciency, and you’ll also discover that achieving this goal will bring advantages in all aspects of life – from working out your finances or helping your child with their homework to solving a tricky problem at work or excelling at card or board games. Ron Bracey provides a wealth of techniques for maximizing your IQ, as well as teaching a range of skills to that go beyond IQ, such as using knowledge trees, intelligent mindfulness, timeframe thinking and emotional intelligence. Your mind is there to be used: follow this unique “IQ and smart thinking program” to take it up to its full capacity.